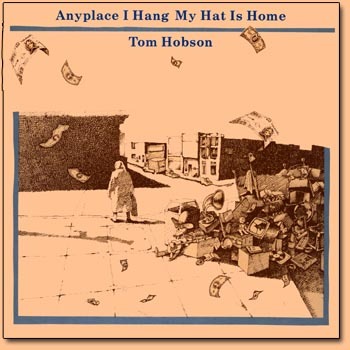 "Anyplace I Hang My Hat Is Home"
including 5 original tunes by Tom Hobson. Oleson of Mobius for clean sound and solid professionalism. This CD may be purchased for only $15 plus $2.50 s&h. Use the "Buy Now" button below to use PayPal or your credit card. To pay by check or for multiple orders and combined shipping fees please email your request here. Tom's Newest CD "Sad, Sad Daddy"